A Houma man was arrested in an alleged road rage incident in which he is accused of threatening another driver with a gun in Paradis. Gabriel Aucoin, 21, of 104 Aspen Drive, was arrested March 23 and charged with aggravated assault with a firearm. 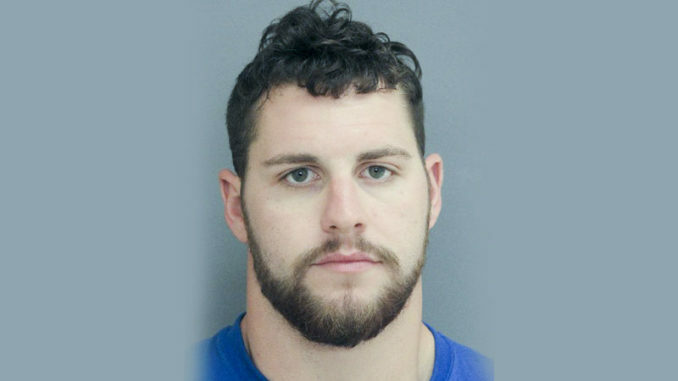 According to the St. Charles Parish Sheriff’s Office, the driver, also of Paradis, says Aucoin was tailgating his vehicle and flashing his headlights, prompting him to tap his brakes to “brake check” Aucoin. This, the Sheriff’s Office said, apparently inflamed Aucoin who pulled his vehicle alongside the other driver and pointed a handgun at him. Sheriff’s Office spokesman Cpl. James Grimaldi added both subjects were inside their respective vehicles as the incident took place. Aucoin was arrested on east bound U.S. Highway 90 near the intersection to I-310. He was released from Nelson Coleman Correctional Facility after posting bail. Incidents involving road rage made major news in recent months after shootings claimed the lives of former New Orleans Saints player Will Smith and former NFL star and John Curtis alumnus Joe McKnight. Both incidents occurred in December. In each case, apparent road rage sparked the interaction, and, in each case, lives were changed forever. Grimaldi advised there is much a citizen can do to avoid hostile encounters on the roadway. He also said that if one witnesses unsafe driving, they could potentially stop a negative situation from arising by alerting law enforcement to the problem. He added that “brake checking” another driver to signal for them to back off could easily add up to more trouble than it’s worth. “If someone is tailgating you, move out of their way when you can safely do so,” he said. “(Brake checking) can easily cause a crash which will place you and the other driver both at fault. It is not recommended that you follow the vehicle, especially if the vehicle is traveling at a high rate of speed or driving recklessly because then you are becoming just as much of a danger to the public as the person you are calling to report.